Hi friends! 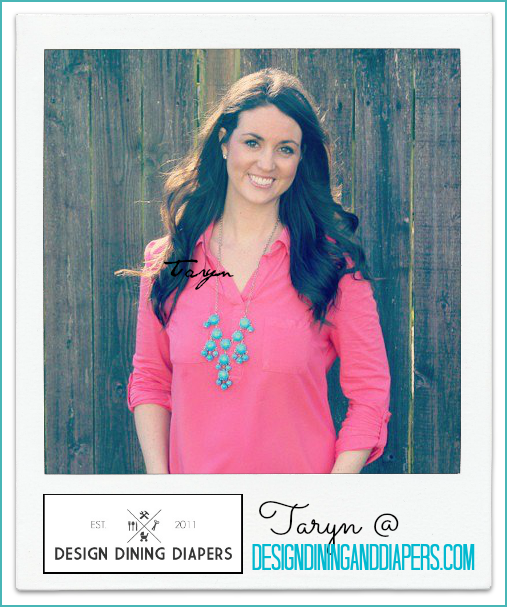 I’m Taryn from Design, Dining and Diapers and I’m so happy to be back here at The 36th Avenue! 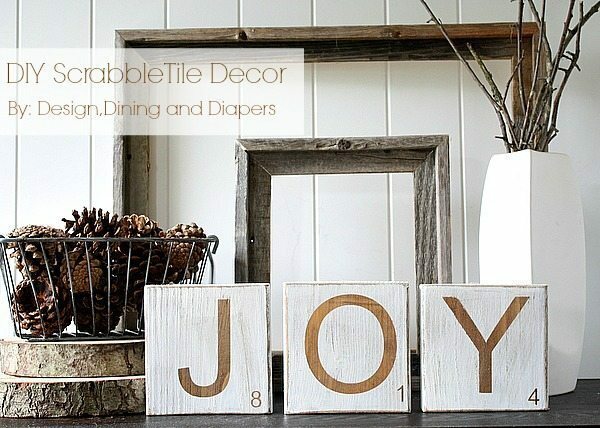 I took a few months off as we welcomed a new baby into our family and it’s great to be back sharing a fun and easy Christmas project with all of you. 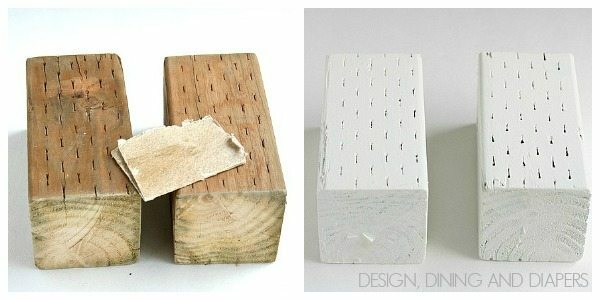 One of my favorite things to work with is recycled wood. If you follow me on Instagram, you’ll know that our fence blew down in a wind storm a few weeks ago, and we had to rebuild part of it. What a bummer! 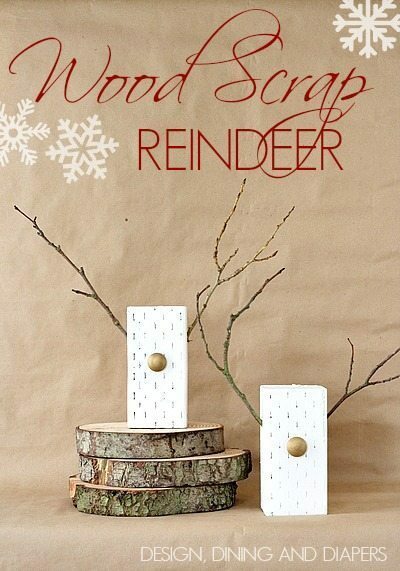 But on the bright side, I was able save some of the wood scraps from the fence posts and made these super easy Wood Block Reindeer! 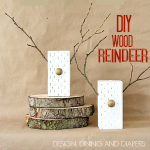 If you like super fun, inexpensive and really easy projects, then the is for you. Oh and you get to use power tools too. Bonus. 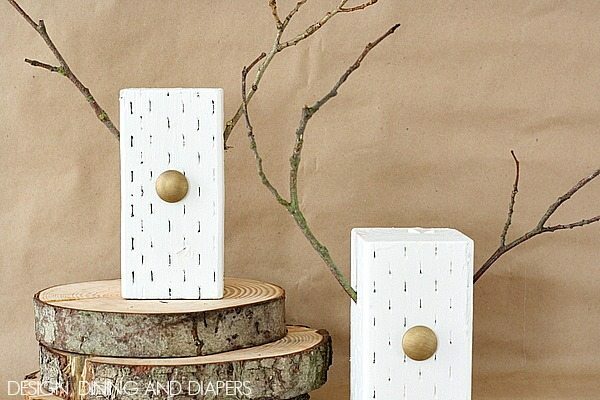 – 2 Wood Blocks – Twigs From Your Backyard – Wooden Buttons – White Paint – Power Drill – Wood Glue – 120 Grit Sand Paper – A mixture of Americana Gold Metallic Paint and Jaquard Gold Pigments My blocks were already cut because I used scraps from our fence, but you could easily cut your own blocks using a circular saw. Mine measure about 10 inches. I gently, sanded down the rough edges and then gave them two coats of left over white interior paint and let them dry. 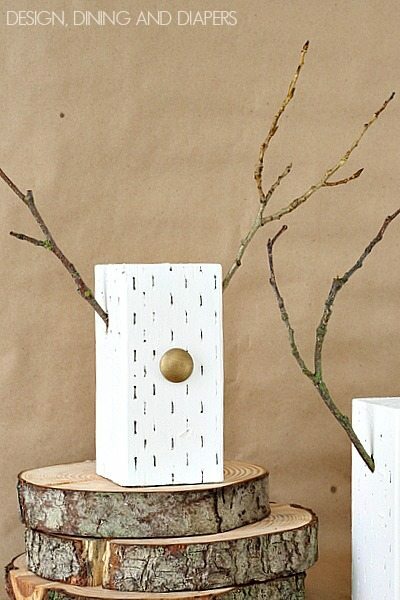 Next, I measured down two inches on either side and drilled holes for the branches. I made the holes slightly bigger than the branches. 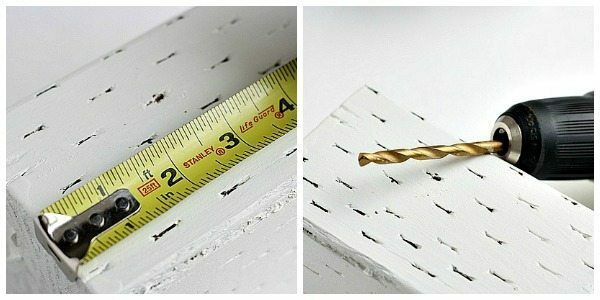 I found that drilling straight down for 1/4″ first, then angling it made it easier. 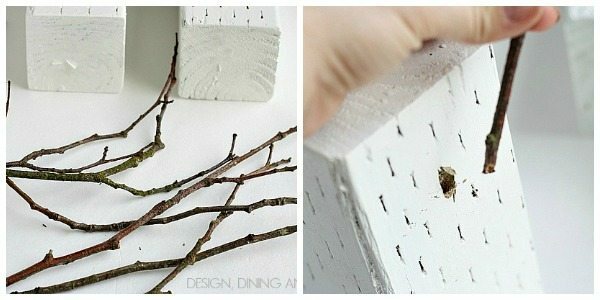 Then place a little wood glue inside and stick in your branches. 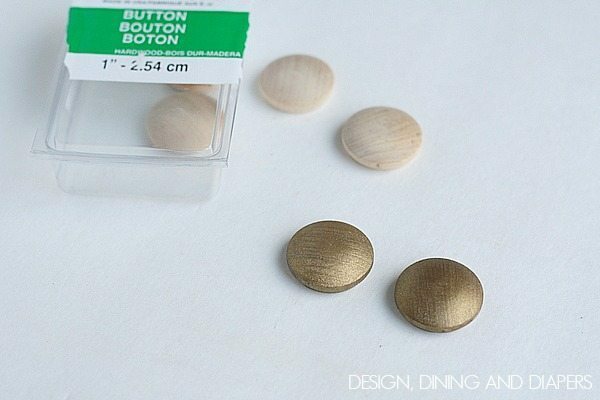 For the noses, I picked up a pack of wooden buttons from the hardware store (you can find them in the molding section) and gave them a coat of a little mixture I came up with, Americana Gold Metallic combined with Jaquard Products Pearl EX Gold Pigment. Then I glued on the noses and these babies are done! What did I tell ya, super easy and super inexpensive. so cute Taryn! Great idea! 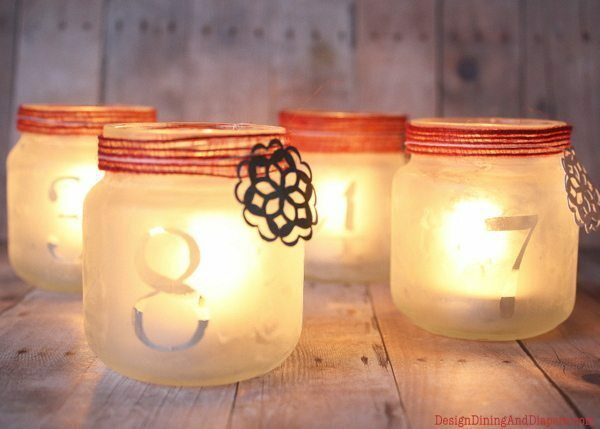 Fun and simple idea! Thanks for sharing! Hi Desiree and Taryn! What a darling idea and they look just adorable! 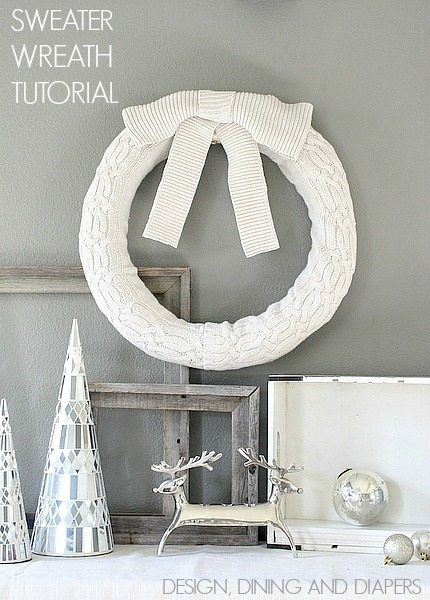 Thank you so much for sharing this wonderful holiday inspiration – pinning! Hope you both have a wonderful Tuesday!